✅ Trip Verified | Tel Aviv to Bangkok via Tashkent. The whole family - we are with two young children - 3 years and one year. We were preparing for this flight for long time, because flying with so little children is not a simple task. Before us there was a considerable selection of companies that offer the flight to Bangkok including some Israeli companies with flights even cheaper than Uzbekistan Airways. 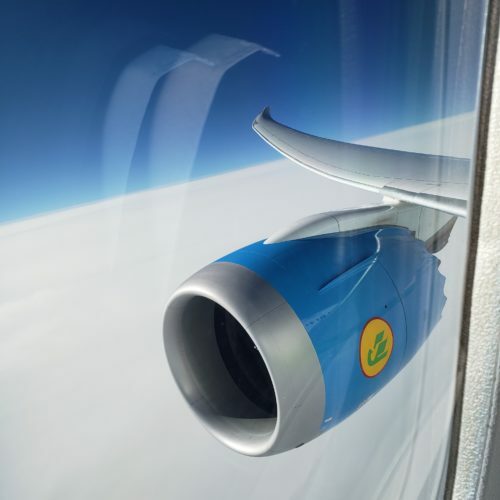 After much deliberation, we did choose to fly with Uzbekistan Airways because we also realized that the company has improved in recent years, and in terms of flight time with small children it suited and it was important for us to land early in Bangkok, since we had a flight from Bangkok to Koh Samui Island. And from there boat to Koh Phangan Island. The last boat leaves at 16, so landing in Bangkok at 6:40 am promised us an early arrival to Samui without having to stay there overnight but straight to continue to Koh Phangan. I would like to point out that on this journey we left with the full weight, since we are planning a long stay on the island. So it was very important for us that the road be continuous and without unnecessary stops with children and so many luggage. In practice everything happened the opposite! The flight from TLV was delayed in 5 hours. Not speaking about the food and the bad service during the flights, we arrived very exhausted to Bangkok at 13pm. We waited for 3 hours for the next flight (Our flight was at 9:40). We arrived to Samui much later after last boat to Pangan. We had to search for a hotel, carry all the suitcases and children. We arrive to Phangan in delay of day, which included all unexpected and unwanted expenses for taxi, food, lodging, not to mention the levels of fatigue we all came to. I was sorry for the moment when we decided to fly with this company. The experience was terrible, I do not wish anyone! ✅ Trip Verified | London to Amritsar via Tashkent. 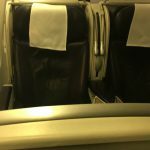 It was a horrible experience with Uzbekistan Airways. 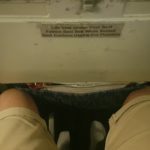 The in flight attendants were inexperienced. They burned my arm and leg in departure and arrival flights with hot coffee. The staff even didn’t knew how to serve coffee in flight. Then the worse part was that they didn’t even offer First Aid. 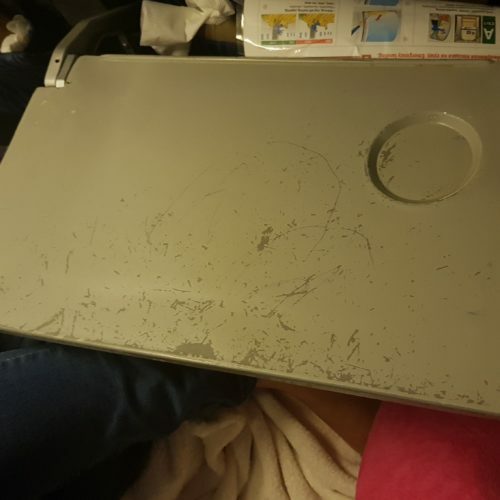 The food quality, inflight entertainment, broken seats is not worth mentioning. ✅ Trip Verified | An internal flight from Urgench to Tashkent, As the airport is small has only 4 flights a day, check in was simple and fast, no chances of getting lost. You walk out to the plane on the tarmac Ryanair style. The cabin is clean and bright. 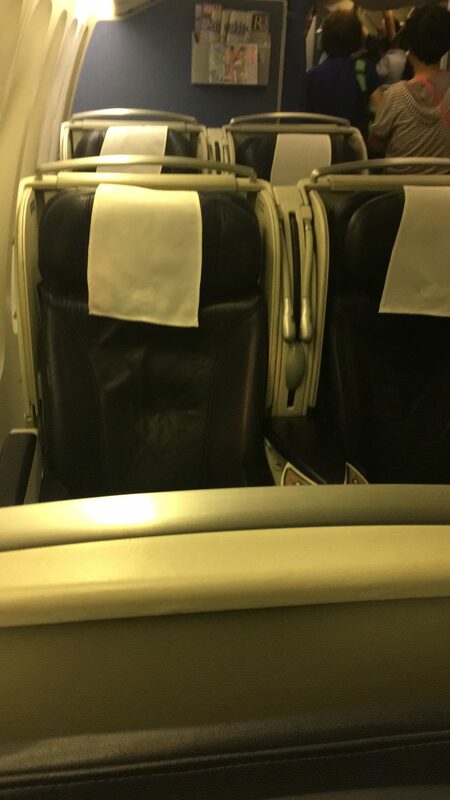 With simple economy seats on a 3 - 3 fashion. The 4 staff soon had people on board and bags stored. The pre flight briefing was from drop down screens, that then showed a 15 minute video of Uzbekistan in flight. 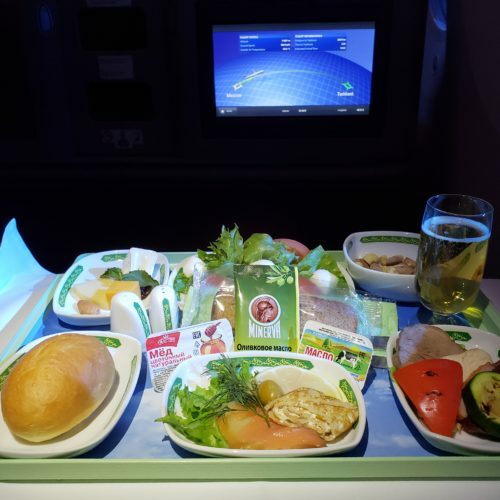 The crew served a selection of cold drinks after take off and this time no one was able to get tea from the business class section of the plane. The flight was straight forward and took around 50 minutes, landing in Tashkent was quick and we were taken from a remote stand to the terminal by bus. Bags where on the belt when we arrived. ✅ Trip Verified | Tashkent to Urgench. Check in for this flight was simple and straight forward at the domestic terminal in Tashkent. Collecting a boarding pass and passing security took less than 10 minutes. We were bussed to the plane and boarding was simple and straight forward. The 4 crew were pleasant and spoke in 3 languages. 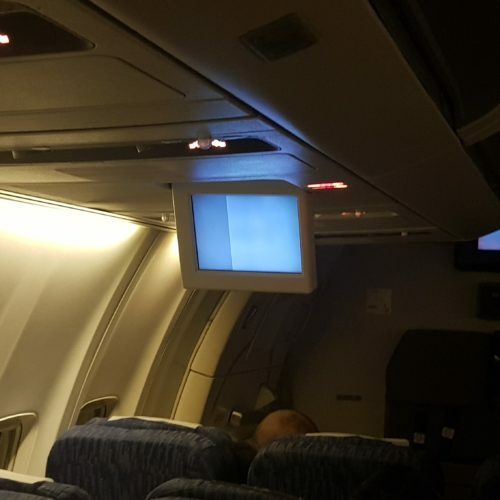 Drop down screens gave the pre flight safety presentation, which 20% of the passengers ignored. Take off was swift and the captain gave a simple on board welcome in 3 languages. The cabin crew did not enforce seat belt rule on passengers not using them, but quickly stopped a person having lighting up a cigarette. Cold refreshment's (coke, sprite, juice and water) where served straight after take off, but people in economy walked into the business class section for hot tea. 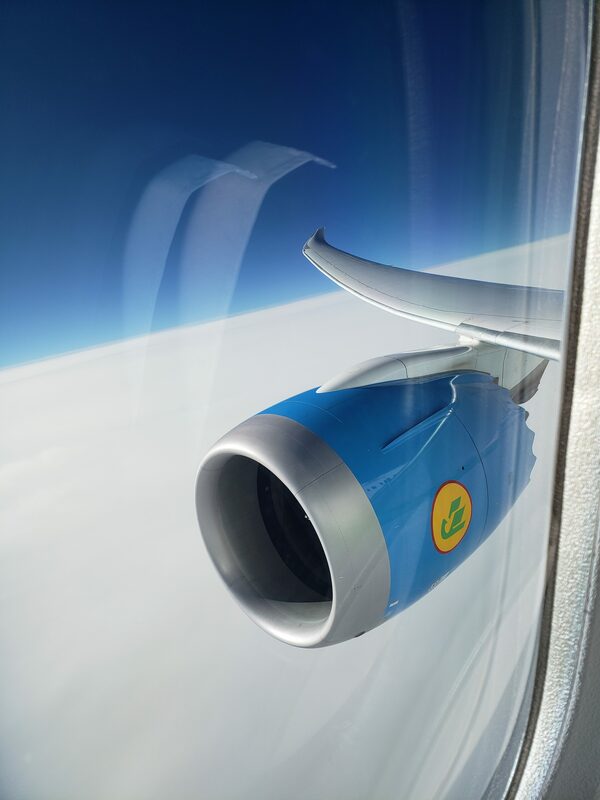 The 1 hour flight was in good weather and a low cruising altitude gave good views from the windows. The cabin was 3 - 3 seats and the interior was clean and bright. The cabin was a bit like Wizz Air. There was no IFE other than drop down screens that played a video of Uzbekistan. The landing was good and the empty airport was simple to navigate. Bags arrived within 10 minutes and we were out of the door into the clutch's of taxi drivers. "a rude attitude towards us"
✅ Trip Verified | Tel Aviv to Bangkok via Tashkent. From the very beginning at check-in, we felt a rude attitude towards us, but that was just the beginning. We got a place in the middle of the plane and not like in almost all other airlines passengers with children gets seats in the front with more space. Space between the seats in our place was not more than 20 centimeters (with a 9-month-old baby)! 6 hours flight from Tashkent to Bangkok The air conditioner did not work ! The toilet was located next to the business class and when I went to the toilet I was shocked to discover that in the business class the air conditioner was working and even felt the smell of cigarettes from there - unbelievable - the plane was very old and dirty no entertainment systems. The attitude of the staff was not patient and sometimes even rude. The connection in Tashkent was as bad as the flight everything processed very slow the passport check the security check was so slow and not professional. The air conditioner at the airport did not work It was very very hot. There is no normal food to eat, There are only 3 cells in the toilet with a huge queue and the smells were horrible, and finally, they lost our baby stroller! ✅ Trip Verified | New York to Tashkent. Uzbekistan Airways offers direct flights from JFK. The fleet has some relatively new Boeing 787, but don't expect much beyond knowing you'll get there relatively quickly. There's no online check-in on the website, so arrive at least 3 hours early for international flights and expect to queue. Food is ok coming from NYC, very mediocre coming from Tashkent. Lots of screaming kids running laps in the aisles, so bring earplugs or music. Entertainment system has lots of Russian/Uzbek movies, but the worst dubbing I've ever encountered. Rather than removing the Russian soundtrack, they simply put the English translation over it so that both play simultaneously. The English translation is just that: one guy reading all the male character parts with a Russian accent, and a woman doing all the female parts. ✅ Trip Verified | Moscow to Tashkent. 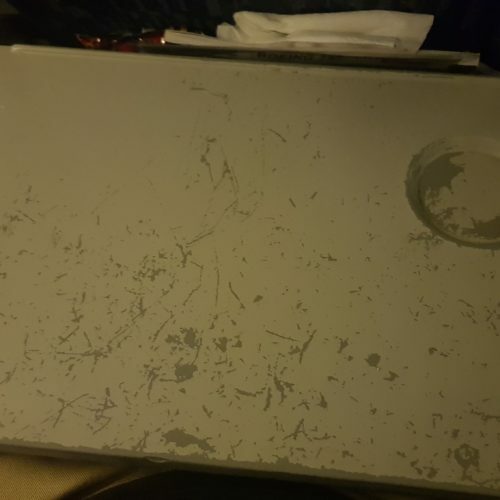 Our plane was broken. We were 26 hours in airport without hotel and proper food. We could not leave the airport because flight was delayed every 30 min. They promised to fly immediately during 26 hours! We even could not finally enter the plane, which came instead of our one: Uzbekistan Airways simply forgot to re-issue our boarding passes. We had a nightmare crush during boarding, because new plane was smaller vs previous one. We even had an issues with police! finally air company refused us in any compensation. "a bit too rough and ready"
✅ Trip Verified | London to Tashkent. Plane left and arrived roughly on time. Very old, tatty and worn out Boeing 757 with very uncomfortable seat for a night flight and limited leg-room. 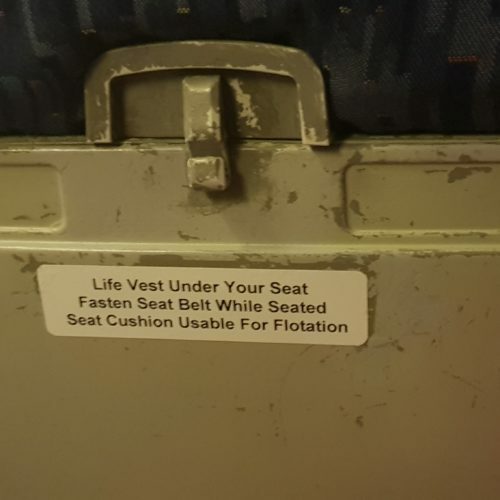 Cabin crew were friendly but with limited English. Food was tasty. First time flying with Uzbekistan Airways and wouldn't do it again if there were any other direct flights available. All a bit too rough and ready for a 7 hour overnight flight. ✅ Trip Verified | Riga to New York. 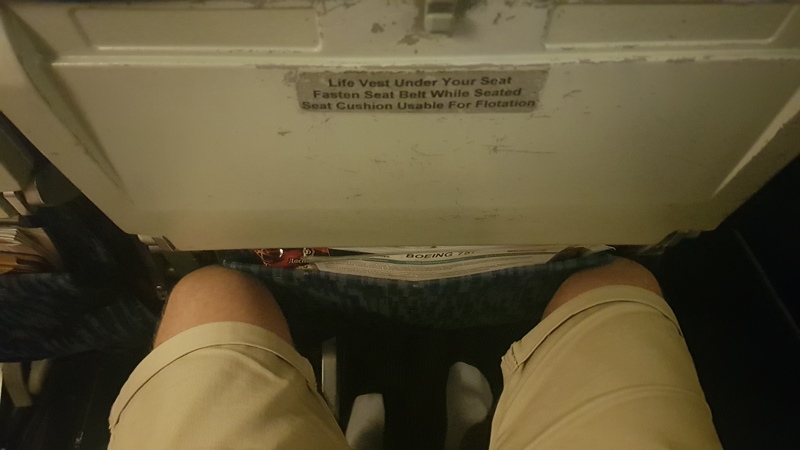 Uzbekistan Airways is the worst airline ever. They are all rude - starting from the customer service via mail to staff on board! They don’t care about customer at all and do/say whatever they like. Do not recommend. The food is okay, enterteinment on board is okay but English is terrible..